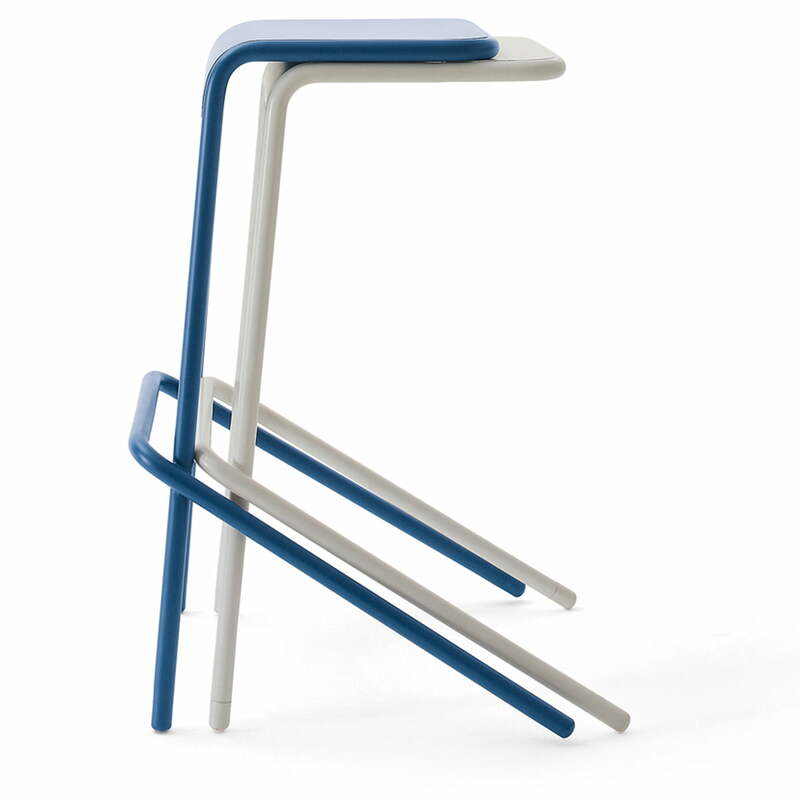 With Alodia the multiple awarded designer Todd Bracher designed a simple bar stool for Cappellini in the year 2010, which impresses especially with its clear lines. 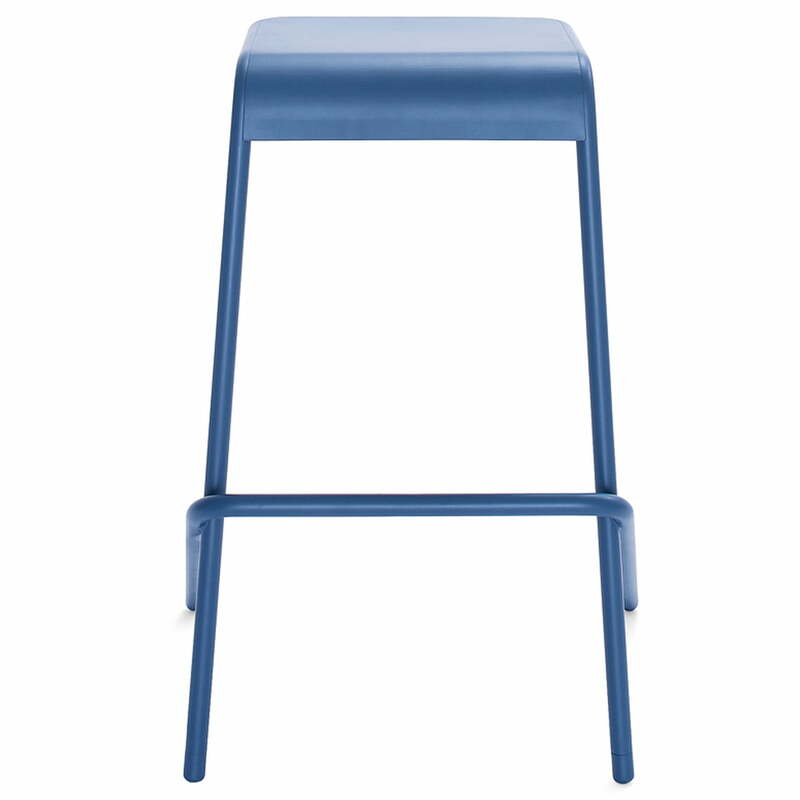 The seemingly weightless and filigree stool is thereby completely different than one would expect from an every-day, massive bar stool and it combines thin tubes with a slim seat. 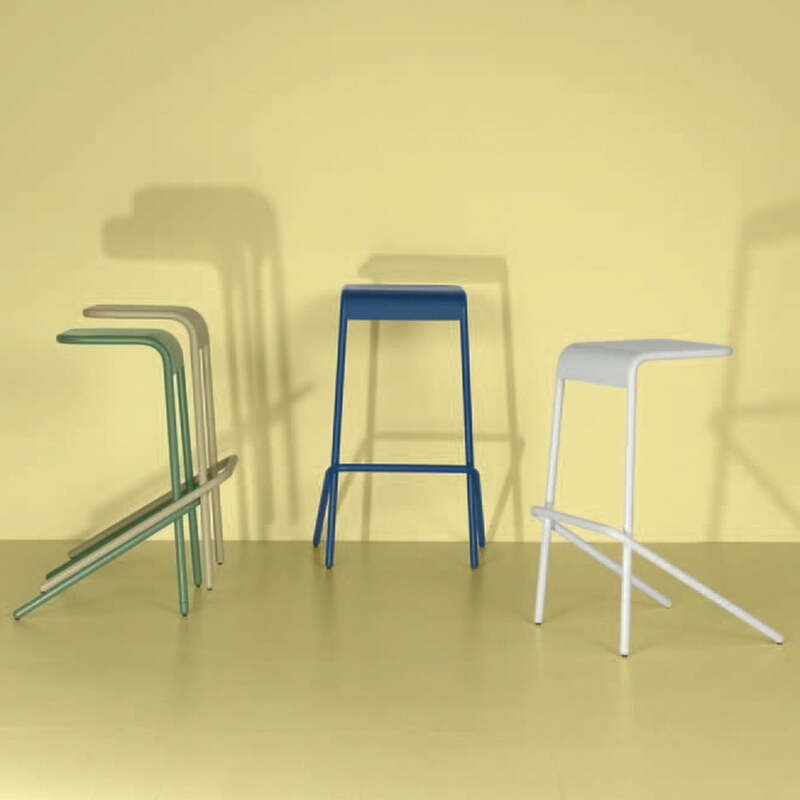 The Alodia bar stool is not only characterised by the reduced design, the seating furniture is also practical: The stool can be stacked without any problems, and therefore stored space-savingly. The Italian manufacturer Cappellini makes the bar stool out of a metal-tube frame. 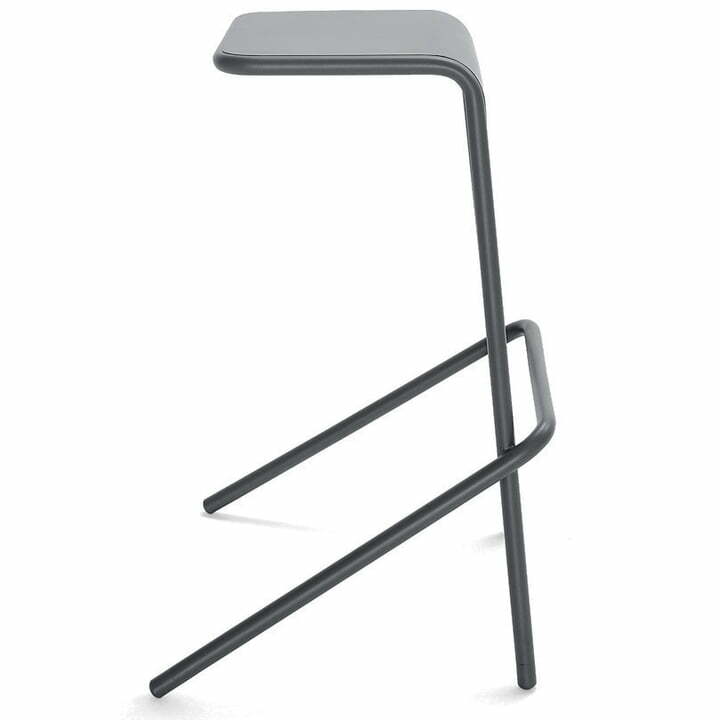 The seat consists of a laser-cut sheet metal. 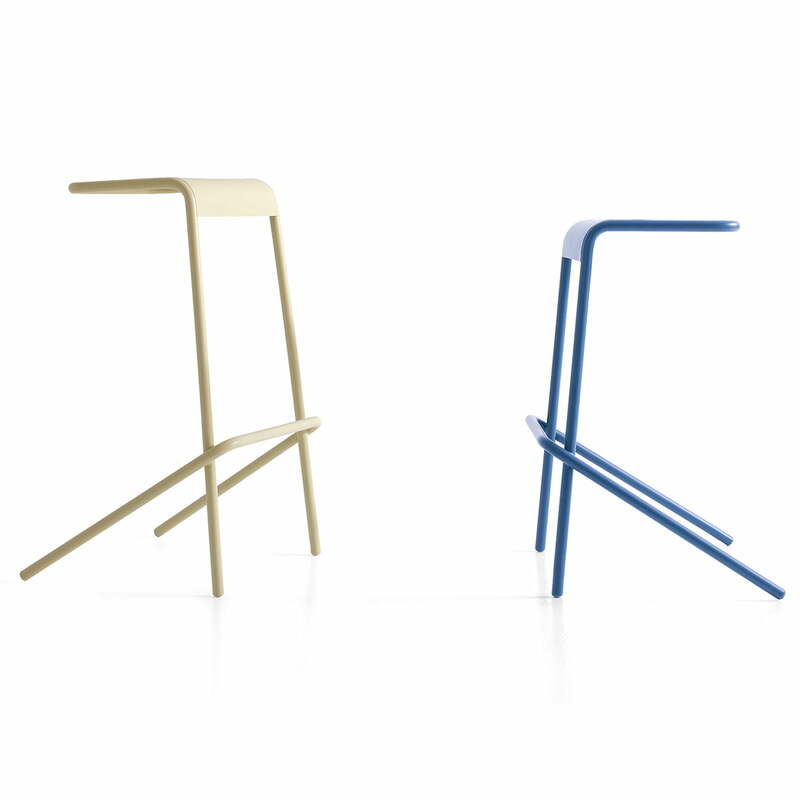 Frame and sheet are lacquered and also available in different colours. 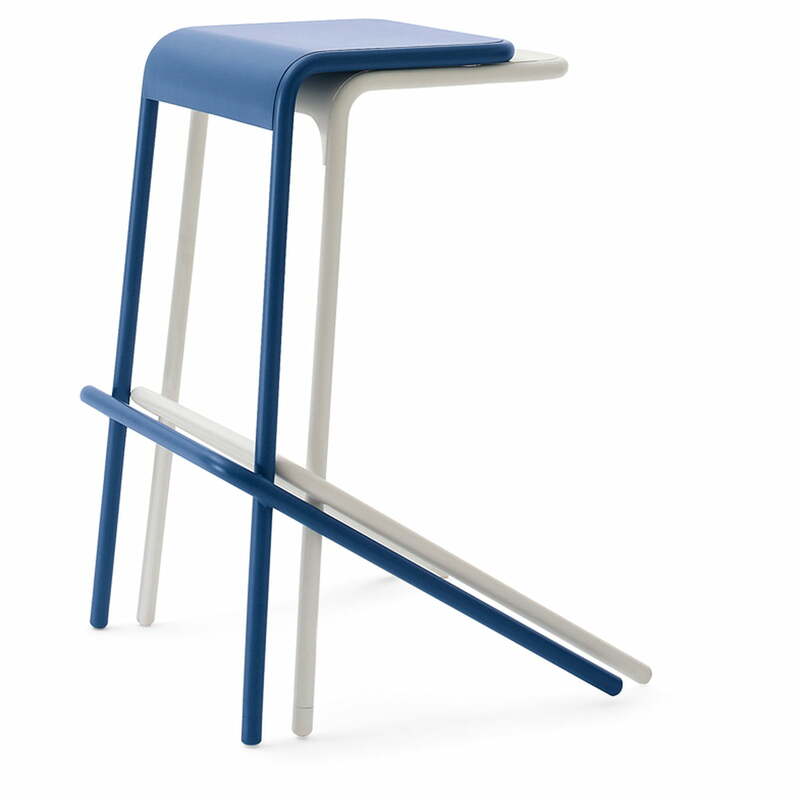 In addition, the Alodia bar stool is offered in two different heights by Cappellini.